When I talk to students, I talk a lot about the lessons I learned from my mother. She was an incredible woman, and she taught me and my three older siblings so much. One big thing she taught us was the importance of expressing gratitude and how to write a good thank-you note. This column is my personal thank-you note to all of you for your support and generosity over the past 10 years of the Will to Lead campaign. We would not have been successful in this campaign without each one of our donors, and Clemson will be forever grateful for that support. We reached a record-breaking milestone of raising $1,062,528,346 — the largest fundraising effort in South Carolina history, and the largest ever for a public university with an alumni base our size. The amount of money we raised during the campaign is a very impressive number, but the campaign was never about just numbers. It was about making a difference in the lives of our students. It was about making a difference for the state, nation and world through ground-breaking research and incredible public service. It was about taking Clemson to the next level, enabling us to go further as a university than we ever have before. 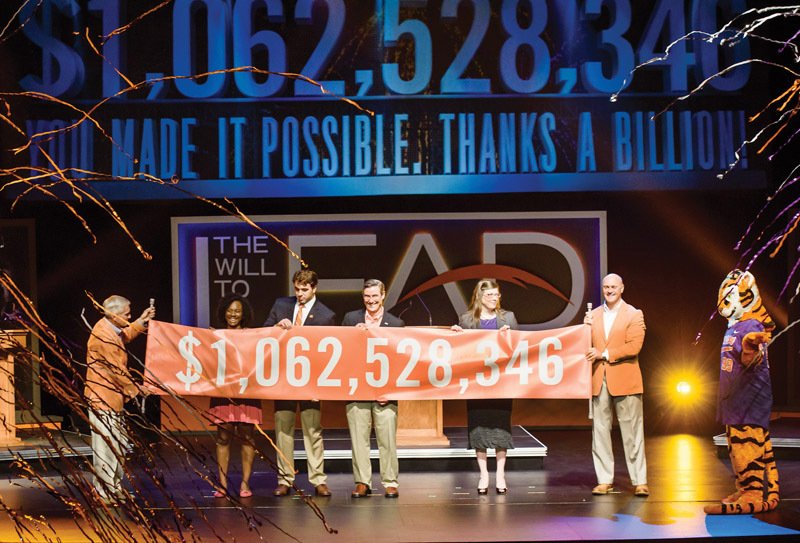 Because of your donations, students are able to attend Clemson who might not have been able to otherwise. Because of your donations, we are able to hire and support world-class faculty and staff who are among the top experts in their fields. Because of your donations, we are able to build amazing new facilities for academics, research, student life and athletics. Because of your donations, we are able to give our students real-world experiences and opportunities for engagement that will make them better prepared for the workplace or graduate school. Those are all things that you made happen, and the money raised during this campaign will continue to make a difference for generations to come. So whether you donated $1 or $1,000 — thank you! You made this possible! The next time you visit campus, you may notice some new additions in the form of three historical markers. These markers will commemorate the contributions of Native Americans and African-Americans in the history of our University and the land it occupies. A plaque at the Calhoun Bottoms will commemorate the Native Americans and African-American slaves in the development of the land where Fort Hill now stands. A plaque at Woodland Cemetery — a.k.a. Cemetery Hill — will commemorate the burials of the family of John C. Calhoun, as well as slaves and convict laborers who built many of the earliest buildings on campus. The third plaque will be located near Lee Hall, where slave quarters for Fort Hill once stood and where a stockade later housed convicts working on construction, to acknowledge the role of enslaved people and prisoners at both Fort Hill plantation and in the construction of early campus buildings. For Clemson to move forward as an environment of true inclusive excellence — a place where every individual feels valued and able to achieve his or her full potential — we must start by being honest about our past. We must be willing to discuss it, learn from it and, in the process, discover more about one another. Because, for better and for worse, each of us is shaped by the generations who came before us. A greater understanding about our history will lead to a greater understanding about the challenges and opportunities that face us today. These markers are a small — but significant — step forward in our efforts to be a more inclusive campus. In order to make progress in this area, how we tell the story of Clemson needs to be inclusive as well. Many know the story of Anna Calhoun and Thomas Green Clemson and John C. Calhoun. But the University was not built by these people alone. Many enslaved people and prisoners, as well as the Native Americans who lived here for centuries before the Clemsons and Calhouns even set foot on this soil, literally laid the foundation for this University. Now we are telling more fully their stories to our students, faculty, staff, alumni and campus visitors. • Expand the Office of Diversity. • Create a multi-cultural center. • Increase the minority representation of faculty, staff, students and administrators. • Develop a tracking and reporting system to measure our progress in inclusive excellence. 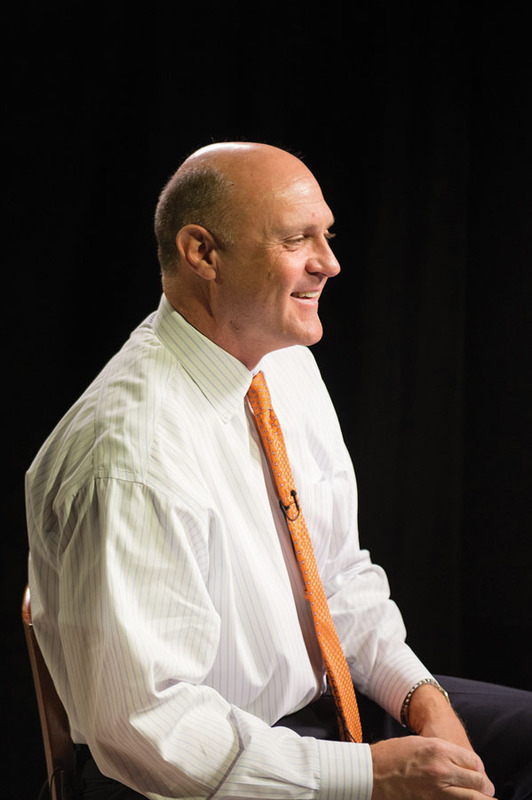 • Emphasize diversity and inclusion in the ClemsonForward strategic plan. • Enhance the use of inclusive images in University marketing. • Provide a fuller presentation of the University’s history reflecting the important contributions of minorities and women in the development of the University. I am also pleased to report that we have hired a new chief diversity officer. Lee Gill comes to Clemson from the University of Akron, where he served as chief diversity officer and associate vice president for inclusion and equity. He brings with him more than 20 years of experience in higher education, and I am excited to have him join my leadership team. 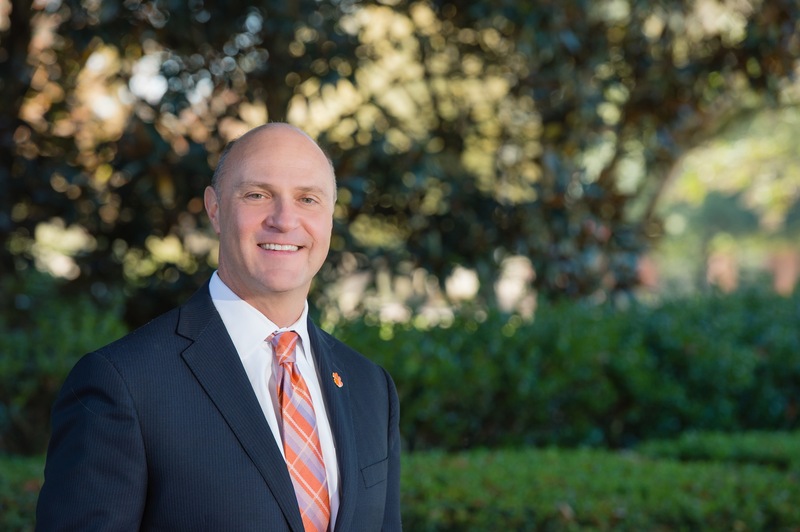 I also want to commend the board of trustees task force on the history of Clemson for the work they did to examine how we need to tell the full Clemson story. The historical markers are part of their recommendations on how we can educate people on the accurate history of the University. You can read their full report of recommendations at clemson.edu/administration/bot/clemson-history-taskforce/. They received a great deal of feedback from students, faculty, staff and alumni throughout the process, and I want to say thank you to everyone who sent them their input. Clemson should be a place where every member of the Clemson family, regardless of background, feels like they are valued. At the end of the day, we are working to make Clemson an even better University, and it will take all of us to achieve that.